I've been working at Georgies Bar for about 7 years now, 4 of those years as General Manager. It is such a great place to work; we're all a family here, Employee & customers. I started coming here as a customer in 2008, and never looked back. Georgies is such a great part of the community, we hold yearly fundraisers for various city and state organizations. Georgies Bar is the birthplace of the Asbury Park Toy Drive, now it has become one of the biggest non-profits in the city. It is an honor to be part of history. Georgies will always be just your regular neighborhood bar, we are the "Gay Cheers" of Asbury Park. 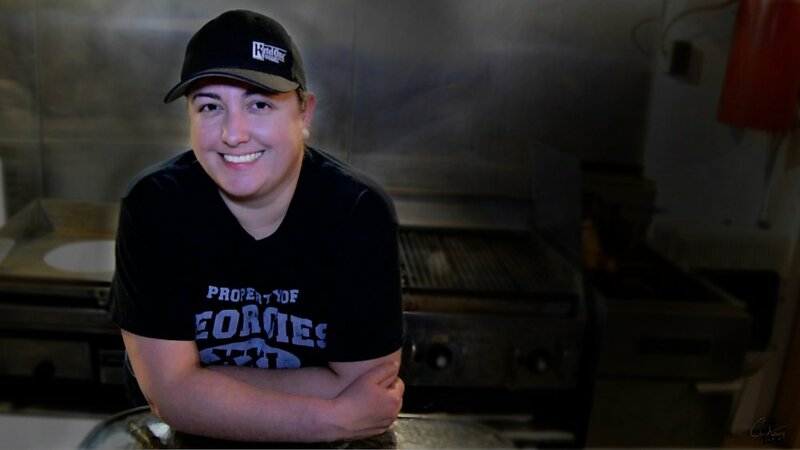 Michael has worked at Georgies for 12 years, beginning in early 2006. He has seen the business blossom over the years as a pillar of the Asbury Park community, regularly hosting charitable events and fundraisers. The heart of Georgies is its close family staff, who all develop unique relationship with the clientele. Michael's favorite attribute of Georgies is the all-inclusive, welcoming atmosphere. I'm honored to say I've been working at Georgie's for about 8ish years off and on. Now it's my full time job. What I love most about Georgie's is the picture of the other George that hangs above the door. The bar being named in his honor. I'm so greatfull to George for providing us a safe and fun place to be for all these years. I love the diversity of the people and the different lifestyles. Everyone getting along like a family. I work Mon night. Tues and Thurs day. But I fill on a lot. Skoot Golightly has been tending bar at Georgies for 11 years. He is honored to be serving the LGBT community all these years and being a part of the original scene that has blossomed into a wonderful and thriving city. I'm looking forward to continue to be a member of the community where "somebody knows your name." I've been Miss Georgies since former GM Charlie Gurrera gave me that title about 5 years ago. 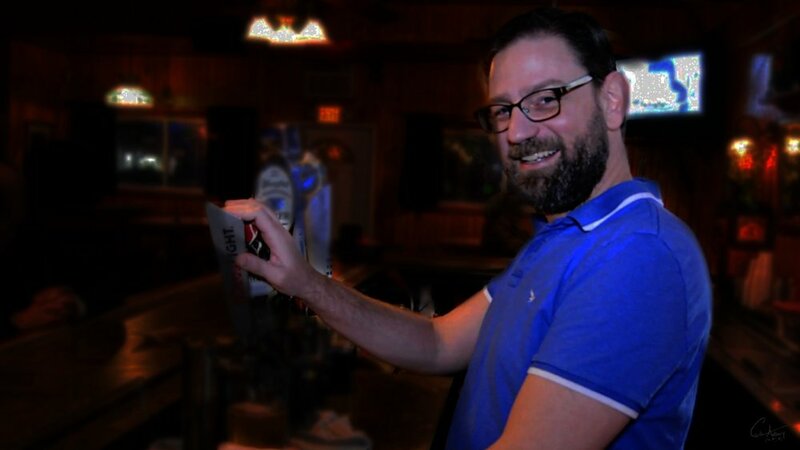 I have been "guest bartender" for Bulge for a little over a year.I've had close bonds with the bar and the staff there since relocating to Asbury in 2001. It has been my living room since then. It was only natural for me to begin working, performing and throwing events and fundraisers here. I remember Georgie's opening! I started working there the summer of 2007 so i guess im coming up on 11 years! I work fri happy hour 2 to 9 and sunday funday 2 to 7. I’ve worked at Georgie’s since 2009. You can catch me behind the bar every Monday happy hours, better known as Mary Mondays! My Watermelon Martinis are my claim, only Memorial Day to Labor Day But so good !!!! My name is Michele Hagan and I work the Georgies kitchen every Wednesday night. I’ve been there since summer of 2016. I’ve been working at G’s as fill in kitchen staff for about 2 years. Working at Georgie’s has been an amazing experience. It’s not just a place to hang out and drink, it’s so much more than that. I have met so many amazing people who are actively involved in making real, positive changes in our community and beyond. This is truly a family atmosphere and we treat and respect each other as such. I've been with Georgies for 4 years now. You can catch me working at our monthly bulge parties as well as saturday nights. We have a great community and customer base. I was given the opportunity by my cousin Joe Cole to work here and thankful for that because of the new friends I've made over the short time I've been here. I've been with Georgie's for 1 1/2 years now, selling shots and barbacking. I absolutely love my Georgie's family. I've grown so close with them and have met a lot of amazing people in the community. I feel right at home when I walk through the door. When I meet people who are visiting us for the first time and/or just moved into town I tell them, keep coming and eventually you'll know everyone and feel right at home, too! It's true! I've been at Georgies since about april or may...i think april. Its been a great time and honor to work with the Georgies family. I enjoy meeting, greeting, and getting to know the many personalities who come through the doors. A classic. A fixture. An institution unto himself. Here from the start. Georgies was actually the very first bar I ever came to. I've had the pleasure of being with Georgies since 2016 when Joe Cole gave me the opportunity to produce a few online commercials for the bar ; Tempted Tuesdays, Queens Against Humanity and even Gay Pride 2016. You can still catch me snapping photos/videos from time to time around the bar and now even working the door every Saturday night. This bar is my home away from home and sincerely feel privileged to be a part of the Georgies team/family. Its a nice neigborhood bar/ hangout spot and My Experience over the years grew with the crowd as they always loved when i came to dj and Respected me as well. Georgies gave me alot of opportunites to work with other ppl and venues as well. I am glad to be a part of the family. I first DJ'ed in 2012 for a guest gig, former GM Charlie hired me on the spot for Thursday night Drag Show w/ then-host, Christy Girlington. After about a year, I moved over to Tempted Tuesdayz go-go boy night, which has become my residency gig. I spin various special events & fundraisers throughout the year here, and our yearly Gay Pride Tea. See www.djmickhale.com for more info. I've been hosting the Glitter & Glam show at Georgies for 4 years. When I first started the show, I thought wow, I'll be the new girl and will have to start all over as if it was a new bar. It wasn't like that. They quickly reminded me that this was Asbury's family that flowed in the doors and whom worked beside me all those years before. After all, I've been in the Asbury sceen over two decades. Then it all became natural and it has been fun and rewarding. We still have issues, we still have laughs, we continue to do charity for the community, and we still love Asbury. My name is Jennifer AKA DJ Tallspeedy! I like to bring the LatinVibe into Geoergies. I have been working at Georgies for about 3 years now. I love working here, everyone is cool, laid back and they treat me like royalty! We are going to bring great entertainment all year round!! Come see me on saturday nights in the summer time at the outside patio for some summer time fun! Sign up to find out what's in and what's on.